Request a consult to Dott. Giovanni Salti. 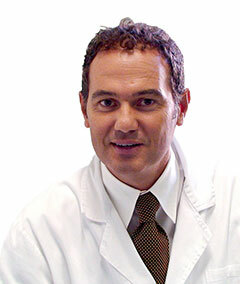 Giovanni Salti graduated with honours in Medicine and Surgery at the University of Florence. Subsequently, he earned his specialization with full marks in Surgery, at the University of Bologna, and his Master’s in Aesthetic Plastic Surgery, at the University of Padua. He also earned his Perfectioning in Aesthetic Medicine at the Tor Vergata University of Rome and in Phlebology at the University of Siena. I think Dr. Salti as an "Elixir Of Beauty", professional at 100 × 100. For me, among many, the best. Get out of his office after a treatment means back home satisfied. I recommend it to anyone who wants an improvement, a touch of beauty and harmony. Its taste is rare. How could I call it? Artist. The secret to staying young lies in having a wild passion for pleasure. With biorevitalization indicates a medical technique used to improve skin quality. CAN LIPOSUCTION DO TO LOSE WEIGHT? Liposuction has elective indication in remodeling lipodystrophies disharmonious body; It is not however suitable as actual treatment of obesity. It 'important to note, however, that a person overweight but not obese, with obvious fat pads can derive great benefit equally by the intervention of liposuction especially if this involves the awareness to undergo a diet both before and after the operation. Undoubtedly liposuction, even under non-ideal cases, it can help to look better and can push for healthier lifestyles to further enhance their appearance. I WOULD LIKE TO CORRECT THE FORM OF MY NOSE, BUT I'M AFRAID NOT TO KNOW ME. CAN I BEFORE SEE THE RESULT? It is very rare that we do not recognize after a corrective rhinoplasty; however, it is now possible to partially process the preoperative images to get an idea of what will be, albeit with a certain approximation, the result. I HAVE ALREADY INCREASED VOLUME OF THE BREASTS, BUT I WOULD LIKE BIGGER PROSTHESIS. IS IT POSSIBLE? In a number of cases it happens that breast augmentation is experienced so naturally as to lead to further action. If the volume increase does not go out of tune on the balance of the body, it is possible to realize the operation which consists in the introduction of a larger prosthesis (at least 25% more) through the previous scar widening the housing pocket of the prosthesis already in place. Generally the operation is almost painless and with a very rapid postoperative course. What are the credentials of the structure where the professional works? How should I prepare to the treatment/intervention and post-operative?